THE beauty about inspiration is that it feeds off who we are. Artists aren’t inspired by the same thing the same way; it’s personal experiences that they’ve gone through which trigger the inspiration into action. 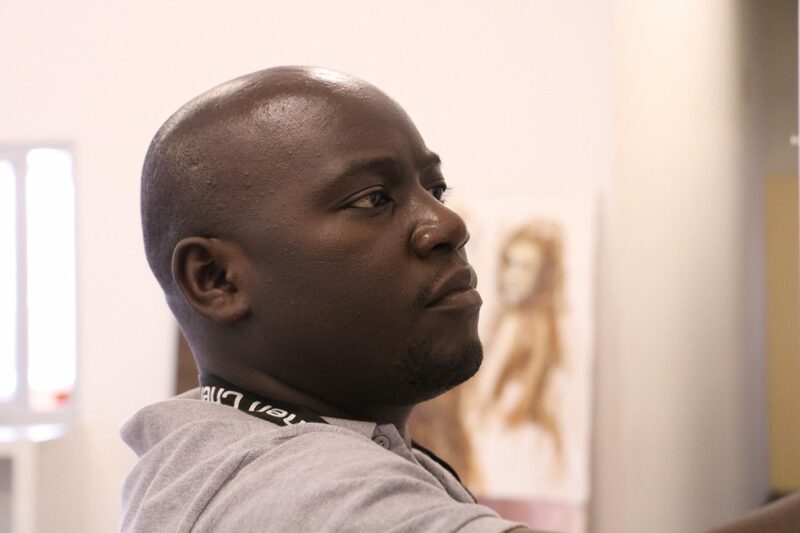 For fine artist Patrick Seruwu, it’s his experiences of growing up surrounded by strong but hurt black women in Masuliita in Wakiso-a small village outside Kampala in Uganda. “There is this connection I have with women. I grew up with a single Mom and three sisters, it wasn’t easy growing up without a father. So I use to hustle with my Mom and sisters, moving up and down selling in the streets,” Seruwu tells me. It’s a blistering hot summer’s day in Johannesburg, I’m sitting with the man in his work space at August House, room 102. I got to the studio with a tad bit of sweat, but had cooled down in Seruwu’s spacious working space, on the brown leather couch where we have the interview. He witnessed the abuse of his mother, sisters and even neighbours back home in Uganda, so much so he couldn’t talk about it on record and the fear of bursting into tears. 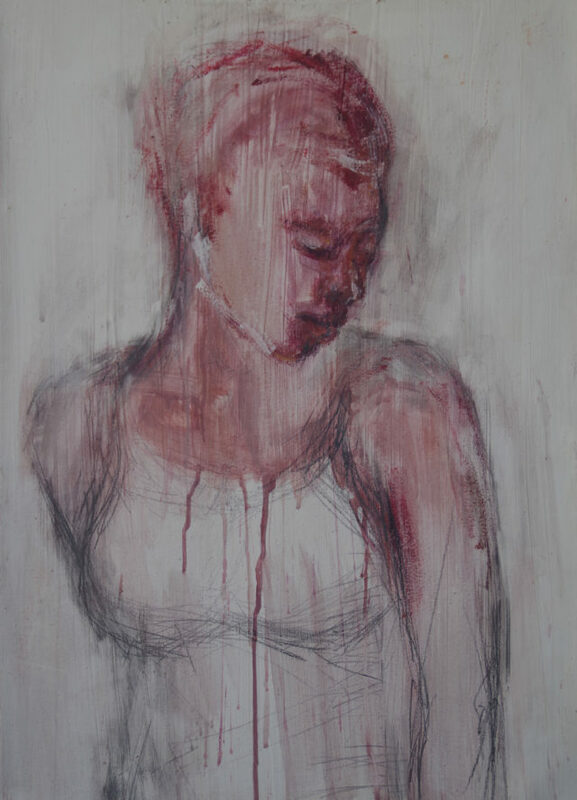 His current work is focused on women who were in toxic and abusive relationships, but are trying to move on from their past. He first sketches on the canvass and then uses acrylic paints, but he then washes the work with a brush damp from H2O, which he says represents tears of the victims of abuse. Seruwu has been living in Joburg for about seven years now, after leaving Uganda to visit a friend here in South Africa for a few months. “When I came here, I saw people on the streets selling and I just told myself that I can also survive here, whatever the condition. I started twisting women’s hair on the street, because I learnt that from back home,” he tells me. In 2017, while unwinding with his girlfriend he decided to draw his partner on paper. “I started sketching her. It wasn’t a good sketch, but I tried. She appreciated it. I then went and showed it to Benon and he said ‘I see something in you, continue doing it'”. 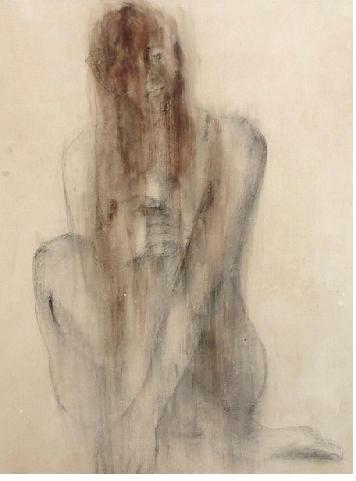 It is telling that his first ever attempt at art, was a drawing of a female. He continued drawing on paper throughout the year of 2017, during his spare time away from the salon. After months of working on paper and encouragement from Benon, he then started working on canvass later that year. 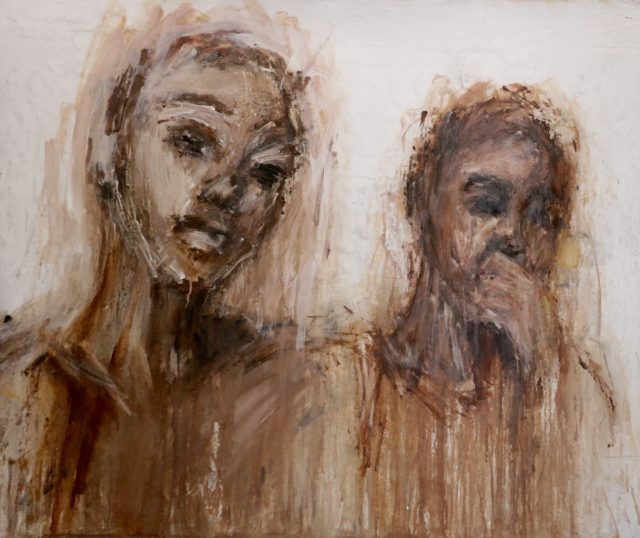 His work has been part of a number of group exhibitions including the August House exhibition at Absa Art Gallery, Studio Space group show, Rosebank’s Lizamore & Associates and last year he got an invite from the Cape Town Art Fair. He’s literally been practicing art for three years and his work has been among some of the country’s best works in the most prestigious art spaces. It’s not often that you meet an artist with such overnight success as Seruwu’s. The average artists will struggle for a couple of years to find their own signature and identity in their work and a few more years to get industry recognition. Seruwu understands that his friendship with Benon has richly helped him acquaint himself with influential people in the industry. “It means a lot to me, it’s an honour to me. It is determination and working hard, focus and knowing where you want to be and what you want. First of all I never thought I’d be an artist, not even think that I could exhibit in a gallery, but I was determined to improve my technical skills,” Seruwu says. He’s on the verge of joining a local art gallery as their resident artist, which he says will assist his development as an artist. 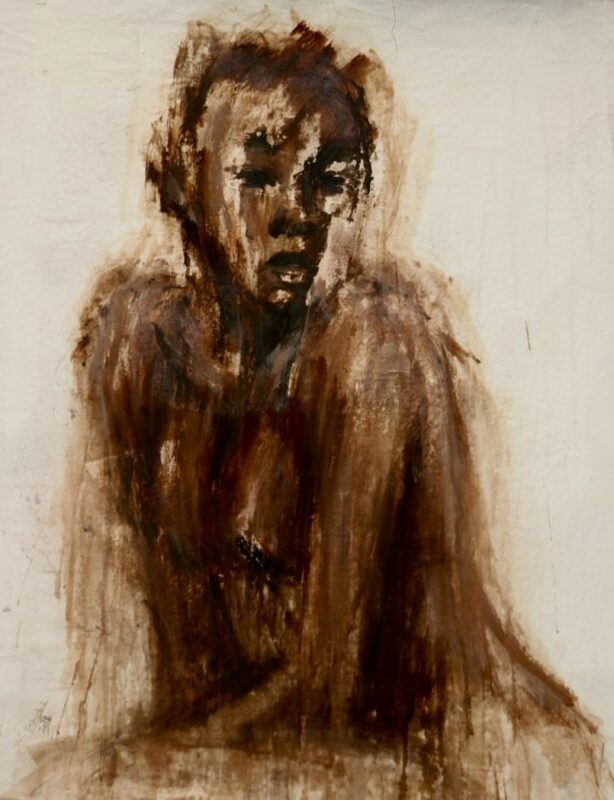 Women are a mainstay in his work and says in future, he’d like to incorporate his connection to females’ hair to his work, similar to friend and fellow artist Lebohang Motaung.